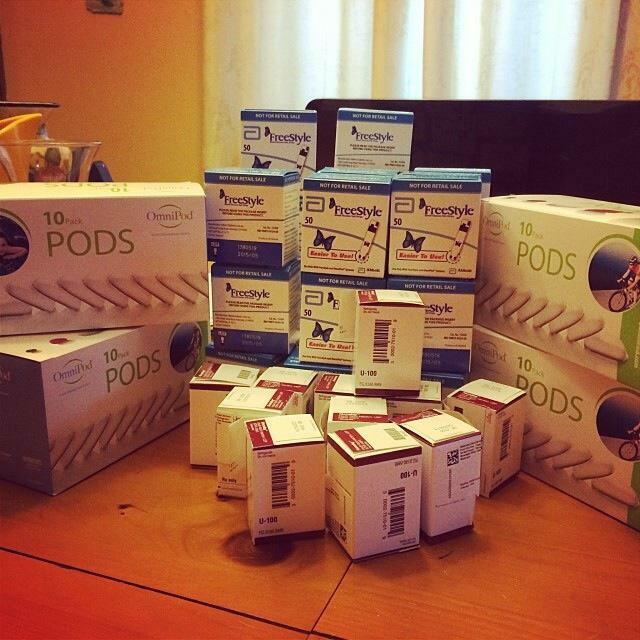 Joey’s insulin was to be delivered as we were preparing to leave for KY. Two weeks beforehand his pods were due to arrive – we had issues getting those from Edgepark, so we switched to Express scripts and got them in time to enjoy our trip! Packing the right amount of “life support” is critical when you have a disease that relies on it. What I have seen over the years is a wonderful social media community come together to create a support system like no other. I’ve seen people on vacation who can’t get insulin or a pod or whatever it is, and people on Facebook groups come to the rescue! We’ve had to borrow a backup pod or two! Through social media we have met so many great families right here in our community. We help each other. When your traveling it’s nice to know that there are people all over the country ready to pitch in if necessary, to have your back! This year for spring break we traveled to KY for my parents 60th wedding anniversary. These are the type of events that are so important in life. The great thing is that my two teenage boys were looking forward to celebrating with their grandparents. It’s important for us to teach our kids the importance of being there for family – and friends – when it comes to important events in their lives. A lot of my boys friends were flying off to tropical beaches (when you live in WI, that’s the best destination ever) but we were heading South to warmer weather! And we were going to be witness to my parents hitting their 60th wedding anniversary! How special is that! When we are in KY visiting my parents, my husband Joe always takes the boys to do fun things. This trip they got to experience a drive-in movie! Joey’s first. It was a bit chilly, but they made it through two movies! The boys stayed up late each night, really late, so it wasn’t easy for me to keep track of Joey’s blood sugar numbers. I know he’s almost 14, but I still check his bs every night at 2:00 am and I still like to know where his numbers are at. I don’t see that changing anytime soon. As a matter of fact I just read a blog where a woman said her dad saved her life because he still checks her blood sugar when she spends the night at their house! She’s 30 years old and had a extreme low while staying at her parents house but her dad was able to wake her and give her a fast acting sugar! We hope you all had a wonderful spring break! Now that it’s behind us we will look forward to SUMMER VACATION! Next Post Diaversary, Year Six. Mother’s Day. Numbers!